Hey, bin der Kai. 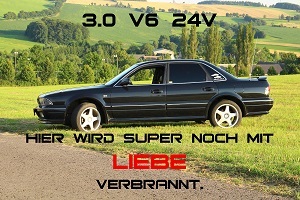 24 Jahre alt und fahre einen Outlander 3 seit einem Jahr. Responsible for any content, image rights and attachments of this posting at (Tuesday, June 14th 2016, 11:41am) is the author kai925 himself. Responsible for any content, image rights and attachments of this posting at (Tuesday, June 14th 2016, 11:41am) is the author Peter_V6 himself. Responsible for any content, image rights and attachments of this posting at (Tuesday, June 14th 2016, 11:53am) is the author Alex himself. Hallo, willkommen und viel Spass hier bei uns. Responsible for any content, image rights and attachments of this posting at (Tuesday, June 14th 2016, 11:59am) is the author VR-4 himself. Responsible for any content, image rights and attachments of this posting at (Tuesday, June 14th 2016, 11:32pm) is the author Tepes himself.